I can’t seem to stay away from England. After spending three months here last spring, I returned in mid-January, to stay until late March. My secret: home exchanging. With laptop, email, and skype, many people don’t even know I’m away – or they didn’t until now. I’ve generated a fan base here, bigger than I have at home! One school visit in Yorkshire last spring, led to four invitations this time round. The small town/village/rural environment meant that teachers spread the word quickly. I’ve got return invitations for my next visit. At Nafferton Primary School I was given the Royal Role of cutting the ribbon the open the new school library! This was followed by lovely tea and cakes. 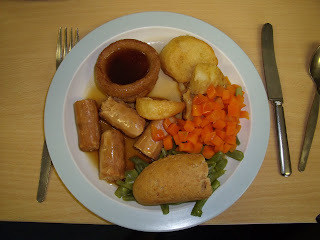 And I enjoyed my first English hot school dinner: vegetarian toad-in-the-hole. The curiosity that spurs me to write about a subject doesn’t go away when the book is finally published, e.g. The Wind at Work. 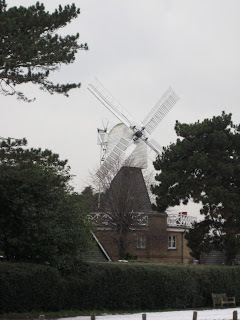 So when I found that my London flat was a quick bus ride away from Wimbledon Common, off I went to see the Wimbledon Windmill and Museum, tagging along with a school group for a wonderful presentation by Norman and Ray Plastow. 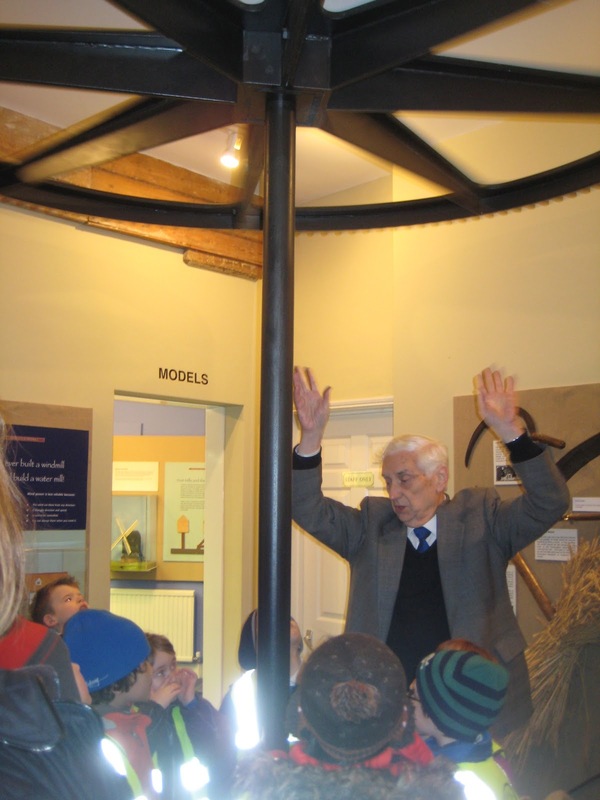 Norman spearheaded the restoration of the windmill and the creation of the museum within. It’s a wonderful place, chock full of great artifacts and exhibits. And the Windmill Café next door serves delicious hot soup, most welcome on a cold January day. Another treat was meeting Paul Sellwood, a windmill-wright who travels the UK and abroad restoring old windmills. 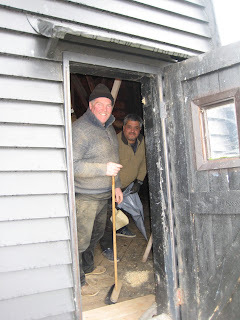 It’s so much fun to meet people to natter on with, about one’s own arcane interests! Stay tuned for a report next month on the Biographers Club meetings in London. It sounds as if you're having a great time in the UK. Perhaps Chasing Windmills is your next book? Thanks for letting us live vicariously through your travels.